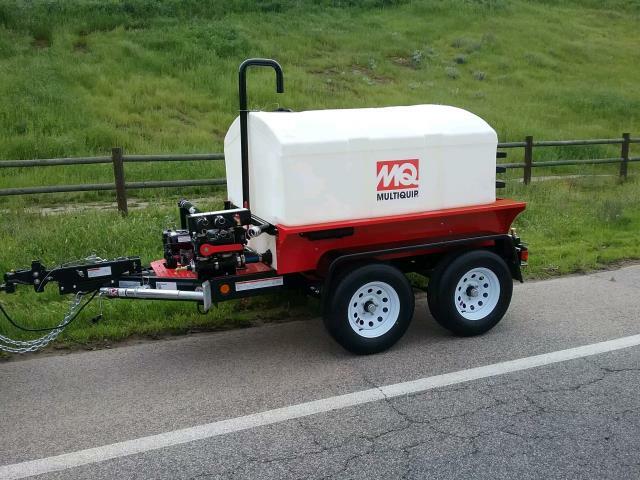 This 500 gallon water tank trailer is ready to tackle a host of assignments to include: dust control, emergency firefighting response, construction, agricultural support and equipment wash down. The easy-operating manifold designs permits easy suction/discharge operations. 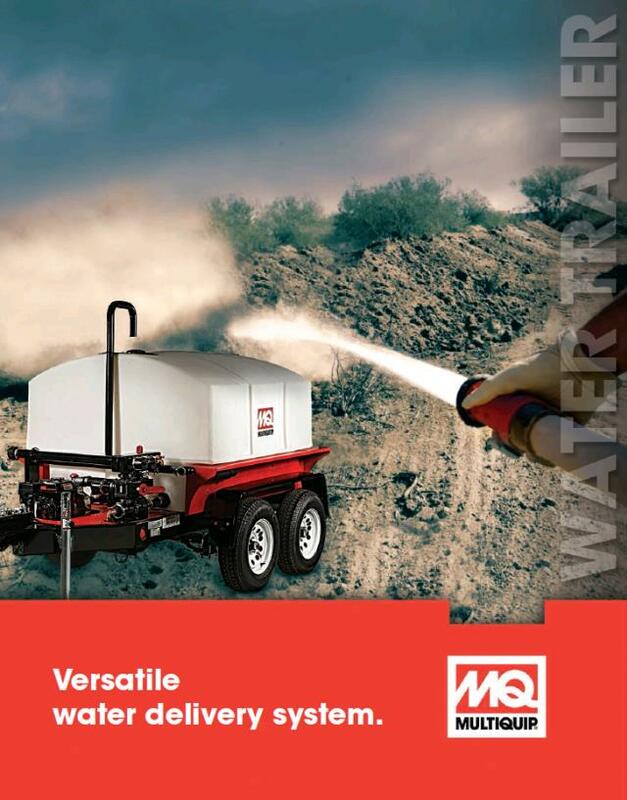 Rear spray bar operates under pressurized or gravity feed settings. Store up to 500 gallons of water in a durable polypropylene water tank with integrated baffles to support water movement during transportation. Quickly fill tank through 2" diameter steel pipe with QD coupler or vented 12" diameter fill port. Trailer has hydraulic surge brake system. * Please call us with any questions about our 500 gallon water tank trailer w/pump in Mount Vernon WA and the Skagit County area.